Dubai: Health authorities in the UAE have withdrawn a low-dose aspirin tablet used to treat pain and reduce fever or inflammation. In a circular, the Ministry of Health and Prevention (MoHAP) in Dubai announced the withdrawal of Jusprin 81 mg tablets for failing to comply with the required regulatory standards. 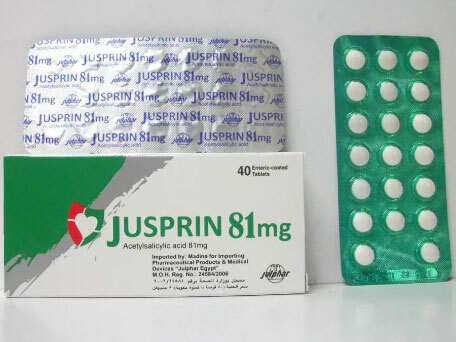 Jusprin 81 mg tablet, a drug manufactured by Gulf Pharmaceutical Industries (Julphar), was also prescribed to treat or prevent heart attacks, strokes, and chest pain angina. According to the circular, the manufacturing company failed to commit to the guidelines set by the Gulf Cooperation Council (GCC) for pharmaceuticals. The ministry directed the supplier to withdraw the drug from public and private establishments, and urged health professionals and pharmacists to stop prescribing the Jusprin 81 mg tablets, and return the stocks to the supplier. The circular stated that “the supplier shall withdraw the above mentioned product from the government and private sectors, all health care practitioners should not use the product, [and] all pharmacies must stop dispensing the above mentioned product and return it to the supplier”.